Rub trout fillets with soy sauce. Season with salt and pepper; set aside. Heat extra virgin coconut oil in a large skillet over medium-high heat. Add garlic, ginger, and green onions; cook and stir until golden brown. Add trout fillets and cook until browned and crispy, about 3 minutes. 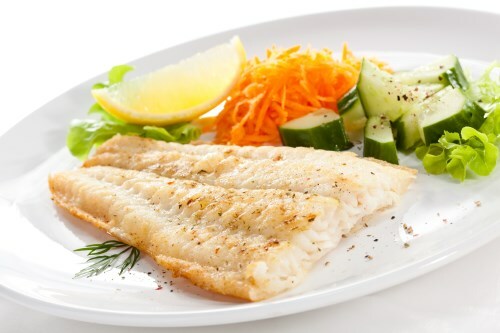 Turn fillets over, and continue cooking until the fish flakes easily with a fork, about 3 minutes more.